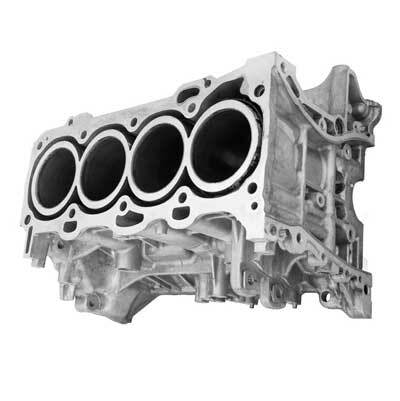 The ISO 13565 series of standards are specially aimed at characterizing stratified surface texture produced by a two-step manufacturing process such as honing-polishing machining. The “Filtered profiles” study was used to display the roughness curve (the raw and waviness profiles can be shown as well). 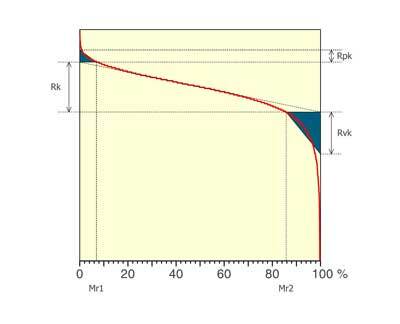 The “Rk parameters” study was used to visualize the way ISO 13565-2 (or DIN 4776) parameters (also called functional parameters or Bearing Ratio parameters) are calculated from the Abbott curve.